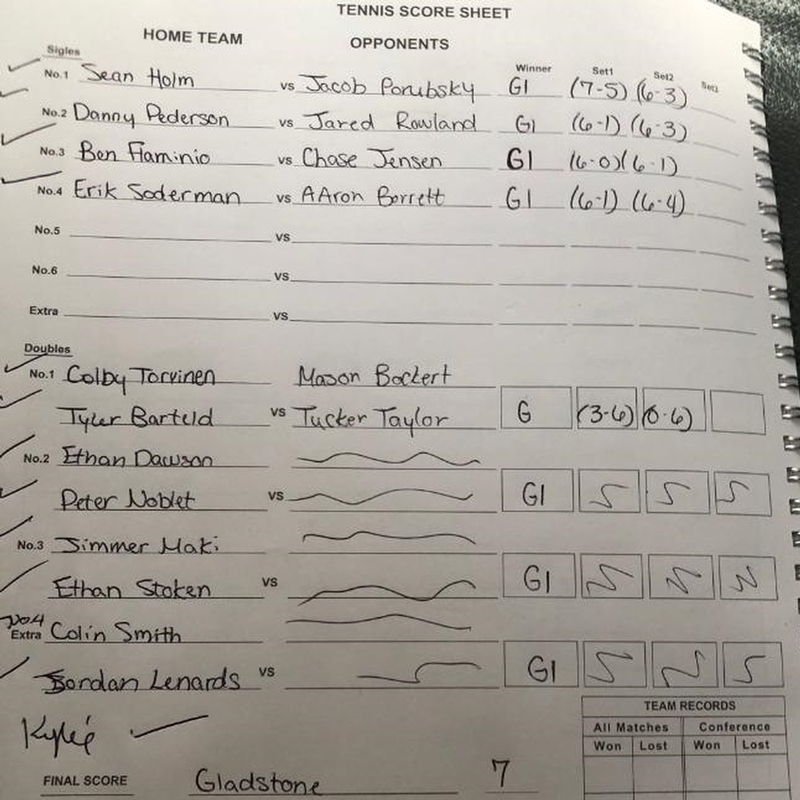 The Gladstone High School tennis team got its first win of the season on Monday, beating the Gwinn Model Towners, 7-1. The Braves got wins in straight sets from all four of their singles players: Sean Holm, Danny Pederson, Ben Flaminio, and Erik Soderman. 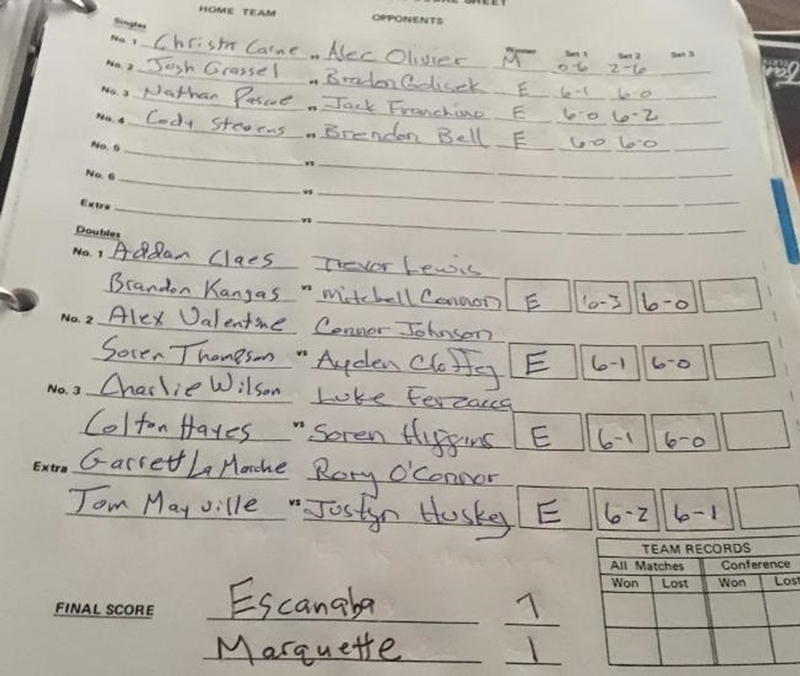 The Escanaba Eskymos also won on Monday, 7-1, over Marquette. 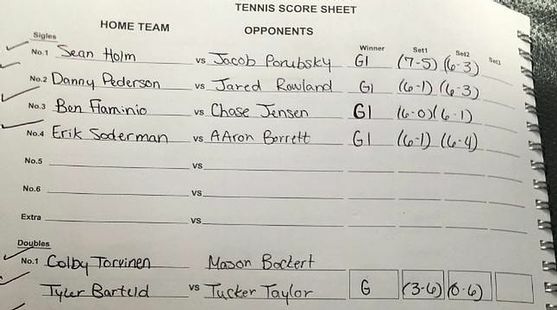 The Redmen managed one victory: by #1 singles player Alec Olivier. But Josh Grassel, Nathan Pascoe, and Cody Stearns earned straight-sets wins, and the Escanaba doubles teams all locked up straight-set wins, as well. Read all of the results below.